New OSHA/NFPA standards for combustible dust and new OSHA regulations for hexavalent chromium. Is your system conforming to OSHA standards? on regulation and product news. Process Environments specializes in the design and installation of industrial air filtration systems, ventilation systems, and related process systems. 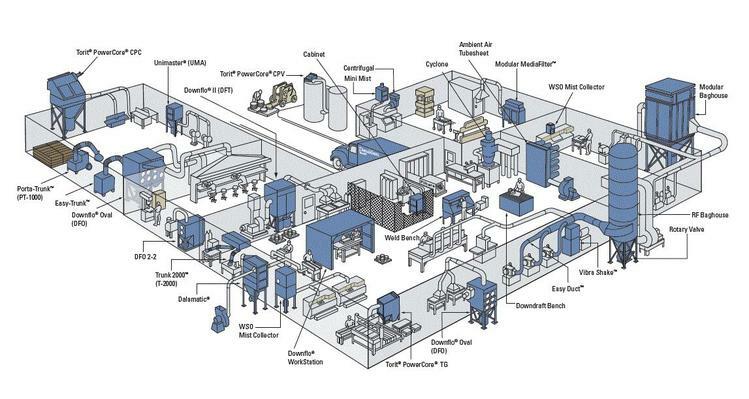 We serve customers in industrial markets and offer solutions for all types of dust collection, weld fume extraction, and mist collection applications. Our experienced staff provides the latest technology and customized air filtration solutions for your unique application. We are an authorized Donaldson Torit Gold dealer and offer a complete line of Torit equipment, replacement parts and services to ensure filtration system efficiency. Contact us for the design, installation or servicing of your industrial air filtration needs.